So if you have been actually following what I am reading, you will know that a few weeks ago I wrote a bit of a rant about how I hate books in a series. And yet, now you will soon find out that I am going to contradict myself because two books I mention are in fact part of a series. What does the Reader’s Bill of Rights say? The right to read what you want…. Well, I’m invoking my rights! I’m sure like most people, my calendar is full. I have meetings and appointments from now until the end of time, and I use my calendar on my phone to make sure I don’t forget these important dates. Unlike most people I am sure, you will also find on my phone some VERY IMPORTANT dates — book release dates. I have had Perfect Scoundrels on my calendar for a while now and thankfully it didn’t disappoint. Katarina, who usually spends her time pulling off different heists around the world, must now put her skills to the test as she tries to uncover a mystery that might possibly put her boyfriend, Hale, in real danger. What makes Carter’s books in a series (this one Heist Society but also the Gallagher Girls) so successful is that although she continues to develop the story of her characters, each book has a unique story line. For me, this means that more than half of the book isn’t wasted on recap of the previous book. A few weeks ago I had the opportunity to go to dinner with the author, Marissa Meyer. Horribly embarrassed that I hadn’t already read her book (although I think I pulled it off ok) I am making it up to her. — I am not, however promising that I will continue in the series even though I know I will probably get sucked in! I love your idea of invoking your reading rights! I feel the same way about not finishing books now. There are too many to read; I don’t beat myself up. 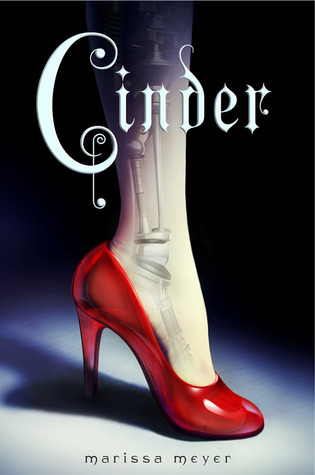 I really want to read Cinder, so I’m looking forward to hearing what you think! I’ve been secretly tempted by Heist Society for quite some time now…perhaps it’s time to adopt a new series!